The logistics and warehousing sector is booming. Warehouse managers, consultants and other employees in the sector can benefit from personal development courses in operations, management and safety. Training providers offer numerous specialisations and certifications to help students take new steps in their career and receive greater job satisfaction. Warehouse managers who are involved in overseeing the storage and handling of goods, tracking supply requests and forecasting future material needs will benefit from Warehousing Management training. Such courses are typically open or scheduled, face to face classroom programs, though online courses and certification is also available for delegates with limited time. Advanced courses in warehousing are typically offered by schools of professional development and specialised accredited providers. These can include topics such as warehouse engineering, lean warehousing and warehouse layouts, enabling logistics and inventory management professionals develop and all encompassing professional background. Managers can also seek associate warehousing degrees on areas like supply chain management and logistics, warehousing and inventory control, acquisitions and purchasing, transportation and freight operations etc. A general warehouse management course will include instruction on the organisational structures of warehouses, delivery processes and logistics technologies. It will include training on subjects like: warehouse organisation, replenishment and requisition of resources, receipt, inspection, issue of materials, control of tools, scrap and surplus, storage and handling, computerisation, performance evaluation. 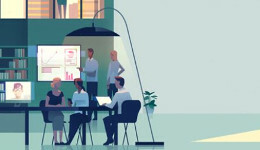 ISO standards in warehousing, layout and facilities planning, inventory classification, codification, standardisation, inventory control techniques, valuation are also part of the comprehensive training agenda - focusing on the regulatory aspects of this growing industry sector. Degree programmes in warehousing often include specialised training courses in managing airport or dock warehouses and practical knowledge on food storage. The highest training level available to a warehouse manager is an MBA in operations management. Warehouse managers with an MBA or a relevant business degree can take their business towards greater success by learning to better manage employees and oversee budgets. Other programmes for managers and personnel include warehouse safety and health training, that helps keep the workplace safe for everyone. The best courses provide participants with course material and practical tips on how to tackle real world problems. Assignments help students develop familiarity with the aspect of warehousing they are seeking expertise in. Continued training in warehousing is deemed essential to improve warehouse operations today, especially in the area of inventory control. Computerisation across warehouses has increased efficiency but there is still a need to conceptually understand inventory control in a changing field. 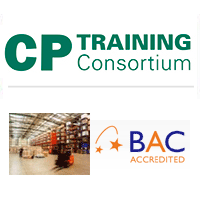 Private, public or bonded warehouse managers and operators will benefit from accredited courses that allow them to apply their specialised knowledge, increase efficiency and focus on the key points of the business.